Editor’s note: Abdulrahman Alfituri is the National Project Manager of International Medical Corps’ programming in Libya, based in Tripoli. 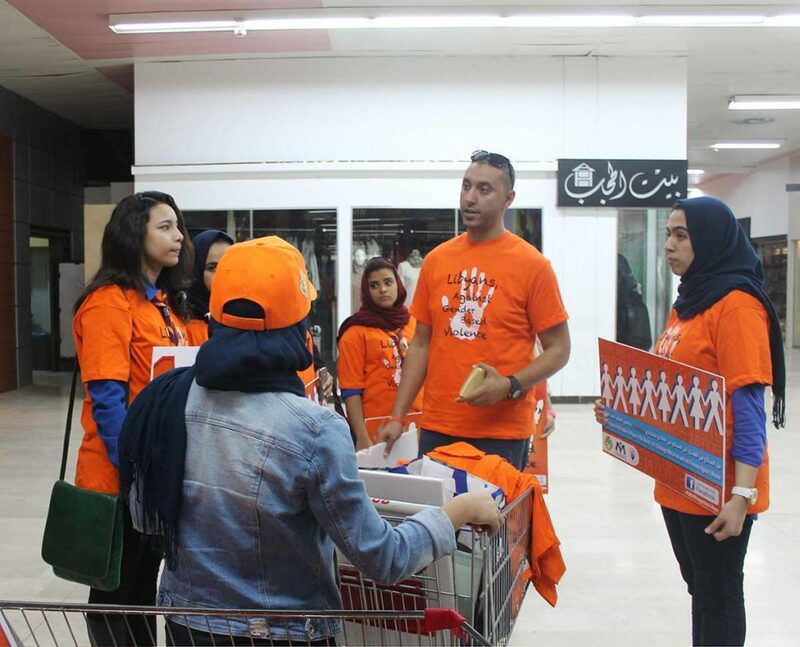 His initial experience in humanitarian work came as a volunteer during the uprising against Muammar Kaddafi in 2011. 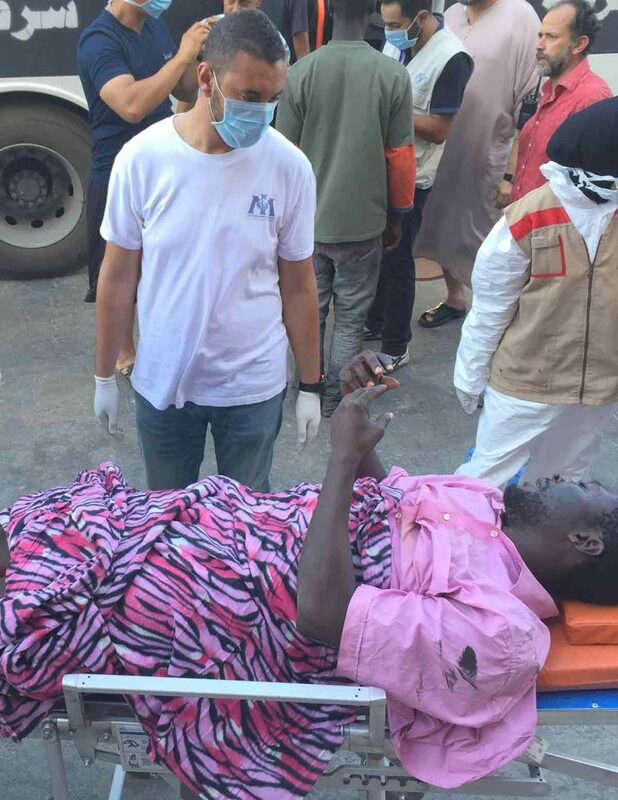 He joined International Medical Corps later that year as part of our gender-based violence program and has steadily taken on greater responsibility, currently overseeing work that supports several thousand of the estimated 30,000 refugees that now reside in Libya. His responsibilities include supervising a Community Development Center that supports refugees International Medical Corps operates in Tripoli. With the start of the New Year, he chronicles his work in a new blog. We had to close our Community Development Center (CDC) in western Tripoli recently – partly because of a lack of funding, but also for security reasons. The security issues occur at checkpoints in the city because many refugees have no official government IDs from their home country– neither passports nor identity cards. More often than not, they were lost or forgotten in the chaos of their departure. The UN refugee agency, UNHCR, has issued them ID cards, but security guards often won’t accept these. As a result, the refugees are too afraid to make the trip to the CDC because they could be detained and sent to a detention center—where their life can quickly descend into a bureaucratic limbo. It’s a big problem and now our task is to contact the more than one thousand refugee families—about 5,000 people total—who had received support from the center in western Tripoli to convince them to switch to our second CDC, located in the eastern part of the city where conditions are safer for them. I also supervise International Medical Corps’ sea rescue program, set up last year to save refugees whose boats sink or flounder off shore as they try to reach Europe, but with the current cold weather, there will likely be no attempts until March, so I am able to focus on the work of consolidating two community development centers into one. The CDC is important for refugees, offering them a variety of services they can’t get elsewhere. The centers are funded by UNHCR, while International Medical Corps, in partnership with the Italian NGO, CESVI, provide the assistance. Our outreach team monitors refugee living conditions, checking for issues such as unsafe housing or inadequate sanitation. (Refugees in Tripoli do not live in camps, but are integrated into the community – often in substandard housing in poorer neighborhoods.) The team also verifies possible needs for special assistance –including cash subsidies – for people of concern, such as families where the head of household is disabled, elderly or where there is no male adult member. Our medical team sees between70-90 patients each day—providing patients who have come from countries including Syria, Iraq, Afghanistan, Palestine, Sudan, Eritrea, and Somalia with medical care otherwise unavailable. Many refugees in Tripoli have no idea these services even exist and we’re constantly working to register them for benefits. Right now, we’re in the process of finalizing to support UNHCR with the registration for a Palestinian family that has lived here for 17 years! We learned about them three weeks ago and with the father disabled, they should be eligible for financial support. But our biggest challenge in assisting the refugees remains security. It has a very negative impact on people’s morale because they are forced stay at home, too afraid to go out and being caught at a checkpoint. We are working with (refugee) community leaders on this to see what we can do, but it’s not easy. These refugees have been through such terrible experiences in their home countries and we want to give them a sense of hope. They need to know they have a future. So even if there’s nothing more we can do materially, we can always listen. Sometimes emotions can be overwhelming and at such times, just taking the time to listen is important. In a way, I can empathize with them because my own life was uprooted during the war here in 2011. It was a time when I lived as an internally displaced person. That experience helps me put myself in the shoes of the refugees. It motivates me to work harder to change their lives in a positive way as best we can.